Serve cold beverages with style at any occasion. Holds 1.75 Gallons. 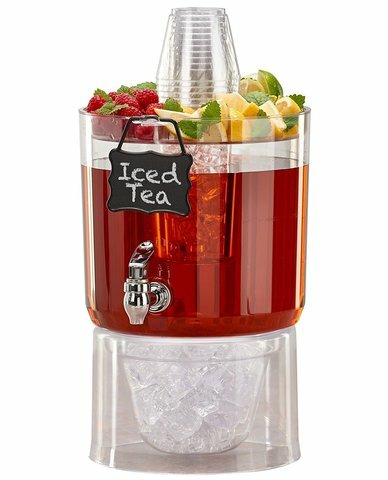 Includes: A compartmentalized base that can be used for additional chilling or separately as an ice bucket, ice cone to keep beverage chilled, cup holder and hangtag. Also utilize the unique top for fruit and/or sweetener and cups for ease of serving.